I’ve always had problems with my skin. I’ve never had extreme acne or oiliness but a combination/dry/sensitive skin type comes with its own problems. It’s hard to find a facial routine that works for each part of your face when you have an oily nose, sensitive forehead and dry temples. Even when I studied beauty therapy, I found it hard to tailor a regime that was effective and quick. A week ago I embarked on the Magnitone Pulsar 7 day challenge and I couldn’t be happier. My skin is softer, my make-up lasts longer and I’m no where near as spotty as I was. So what is the Magnitone Pulsar I hear you ask? The Magnitone Pulsar is a facial cleansing brush that offers you a deep cleanse for only 1 minute every morning and evening. It has 4 different settings which vibrate in different ways to offer a variety of cleansing styles. One of the settings is a massaging, pulsating type (hence the name) which helps with tightness of skin and circulation to key areas such as your cheeks. There is also a brush head specifically to exfoliate your body. It’s designed to help stop ingrown hairs and alleviate shaving rash, as well as giving your skin overall softness and free from bumps. The Magnitone Pulsar is also 100% waterproof so you can use it in the bath or shower too, which makes life a lot easier. This is the best thing I’ve ever used on my skin. I’m a very lazy person (hard to believe huh?) so a 1 minute solution is perfect. You just wet your face, load up the brush with your favourite cleanser (or for a deeper cleanse I used a light exfoliating lotion, as pictured above, twice in the week), press the on button and off you go. It even beeps at 30 and 45 seconds which I use as cues to change the settings and it makes you spend enough time on every part of your face. After the first few times I used it, it did leave my face rather red but that was just the blood flowing to the top of my skin. Show’s it’s working really, although if it gets red and sore then maybe use it on the more sensitive setting. After a few days though my face did get accustomed to it. The deep cleanse allowed my moisturiser to absorb into my face a lot more effectively so my dry patches are hydrated for the first time in a long time. Normally my moisturiser just sits on top of my skin and only parts sink in. I’ve not had much of a chance to use the body brush but when I have, it does help with ingrown hairs and makes my legs very smooth. I think that brush will be very useful in the summer though! The battery life is amazing too. Apparently one full charge lasts for 3 weeks which is pretty impressive and I’ve not yet had to charge it. There are a few accessories that you can buy separately such as a travel case. I personally think that the travel case should be included with the Magnitone Pulsar as it is something that I’ll be using daily and would take it to America if I had the case. Without it, I worry that the brush will make my clothes damp and the brush might get damaged in transit. There are other products that Magnitone make which are similar but with different or less functions that are in all different colours. It would be nice to see the Pulsar in bright colours or with different designs. The price is a bit high but it is worth every penny. I think they should perhaps drop the price a tad or offer student discounts etc for those that want amazing skin for a fraction of the price, though they do have cheaper options like the Magnitone Lucid. I would recommend this to everyone that wants great looking skin. I’ve never had people compliment my complexion before but I’ve had 4 different people comment on my skin this week! It’s easy to use and highly effective. It’s like a mini facial in the comfort of your own home. You can check out the Magnitone Pulsar here! 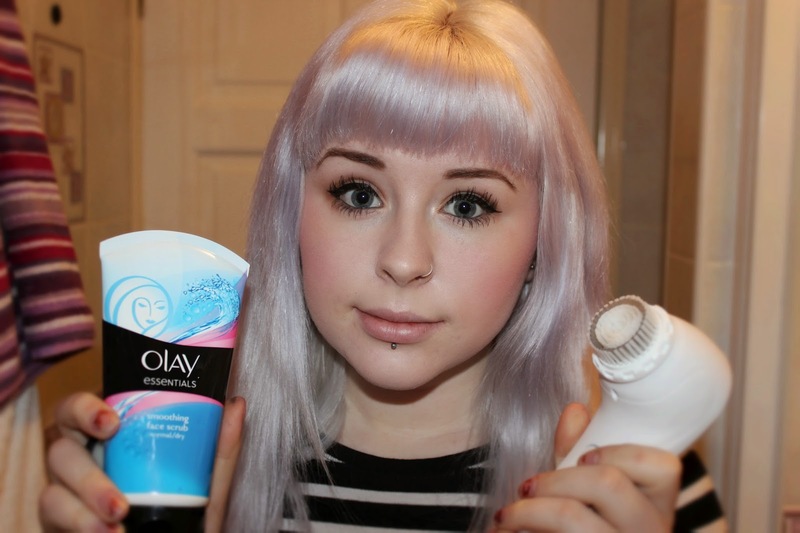 When I’m back from America, I will be doing a skin routine video for my YouTube channel so you can see how I use it! So have you guys tried anything like this before? How did you get on and do you have any tricks and tips? Let me know in the comments! Previous Post Goodbye 2014, Hello 2015! I'm currently trying out the Magnitone Lucid, hoping for the same results as you!